Like our Myrtle Beach vacation, this would be another week long trip spanning from May 21st to May 29th. Our itineraries in hand, hotel reservations printed, and bags packed – we left our house at 10:30 am. 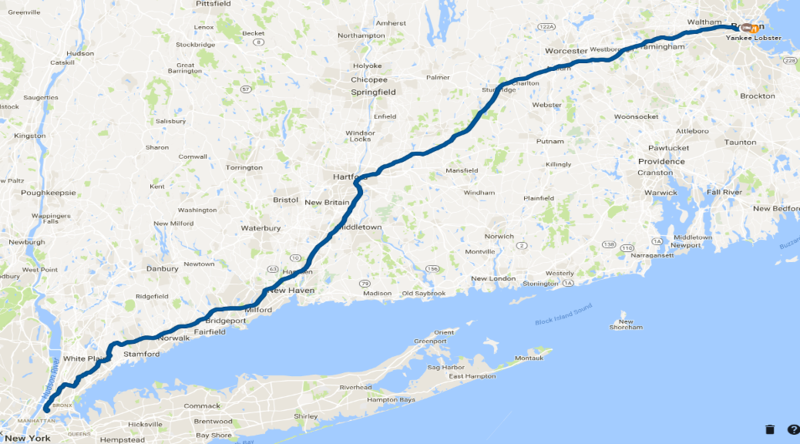 We were expecting an (approximately) 8-hour drive (per Google – 471.7 mi via I-95). Given that we had a few stops to make, we were expecting a 10-hour long trip or so, with an expected arrival time of 8:00 pm to 8:30 pm. Boy, were we wrong. We ended up arriving at close to 10:00 pm that evening. But what a fun drive it was! 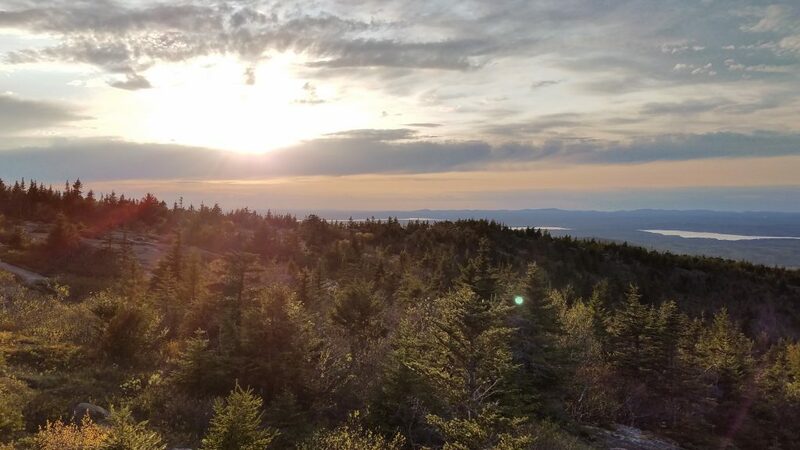 We were to make our way to Bar Harbor, Maine on Acadia/Mt. Desert Island – our first time ever in Maine – for 2 evenings, followed by a 6 day stay in the Boston area (Saugus to be exact). We loaded up our Chevy Cruze, and off we were. We had home brewed coffee and tea in to-go cups, so we skipped our usual Starbucks/Dunkin Donuts pre-trip fillup. 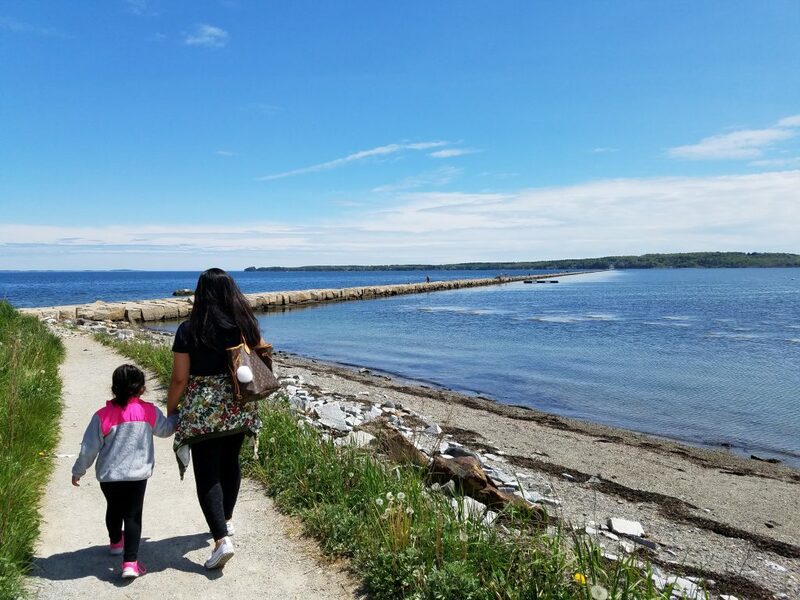 We made our way to Kittery, Maine via I-95N – our first stop: Bob’s Clam Hut in Kittery Maine. We first heard about Bob’s Clam Hut on Diners, Drive-ins, and Dives, so we figured, why not add it to our map. We ordered the clam basket, amongst other goodies – highly recommended. 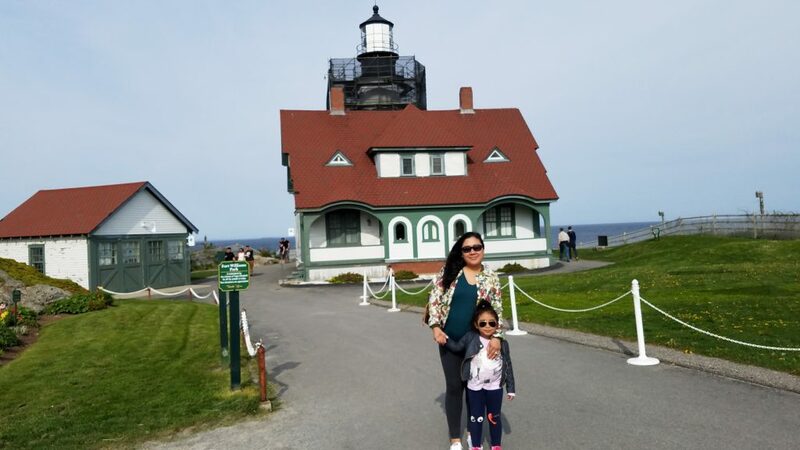 We then took off to our first “sightseeing” spot – Portland Head Light, located at 1000 Shore Road in Cape Elizabeth, Maine. Considering we were out of coffee and were near Portland – we made a pit stop at the Starbucks located at 594 Congress Street in Portland, Maine. 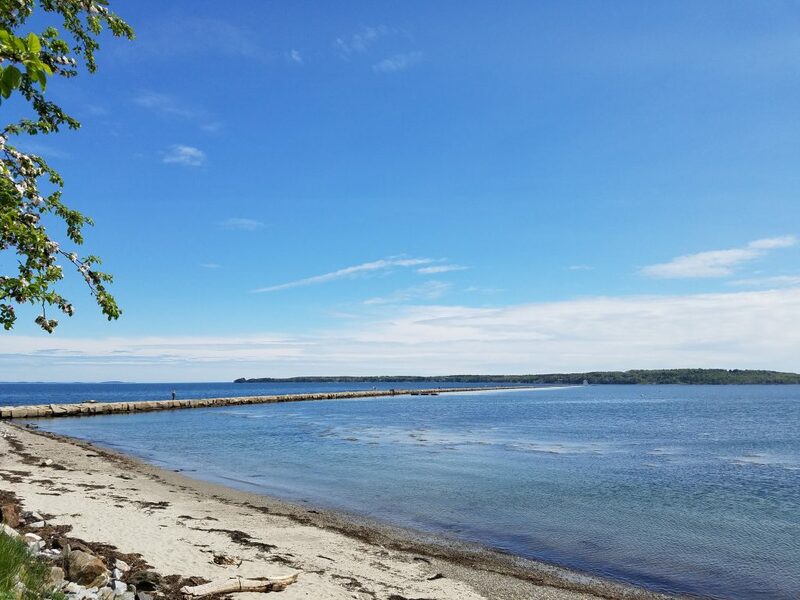 Following that, we drove towards Brunswick – where we came across our waypoint to switch from I-95N to Route 1 – which offers a more scenic drive along the southern coastline of Maine. Now, maybe clams and coffee aren’t best of friends in the tummy, or maybe it was just eating clams atop coffee, followed by more coffee, but we had to make a little detour by the time we made it to Newcastle, Maine. But after a quick refresher at Mike’s Place (557 US-1, Newcastle, Maine) we were off again. Our drive along US-1 was spectacular. Postcard perfect vistas came in and out of view as we made our way through roads lined with old-timey houses. 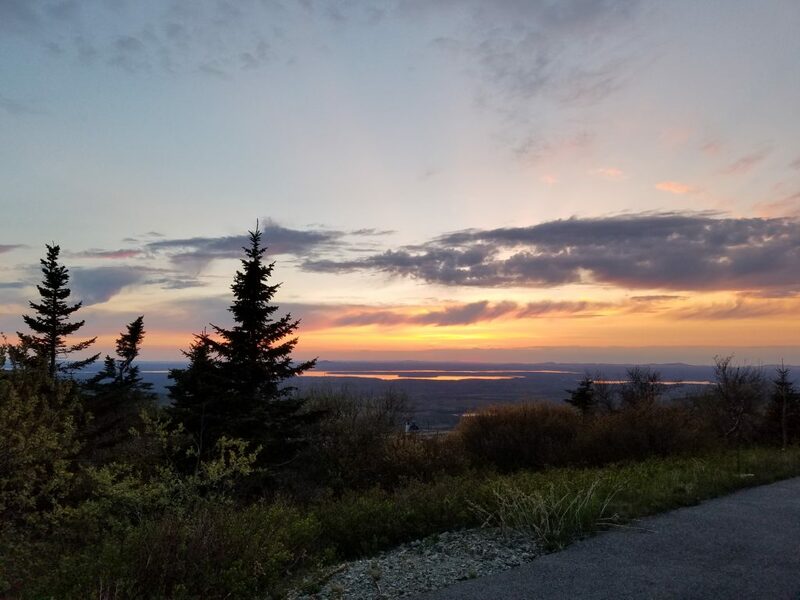 Because we were rather late, we ended up calling Side Street Cafe – located at 49 Rodick Street in Bar Harbor, Maine – and ordering dinner to go. It was a neat little music venue/restaurant/bar. We then proceeded to check in at the (very luxurious, and highly recommended) Bluenose Inn. They offer two buildings where you can stay in – Stenna Nordica and Mizzentop. Both offer views of Frenchman Bay and Mt. Desert Narrows, but the Stenna Nordica views are a little obstructed by the Mizzentop. 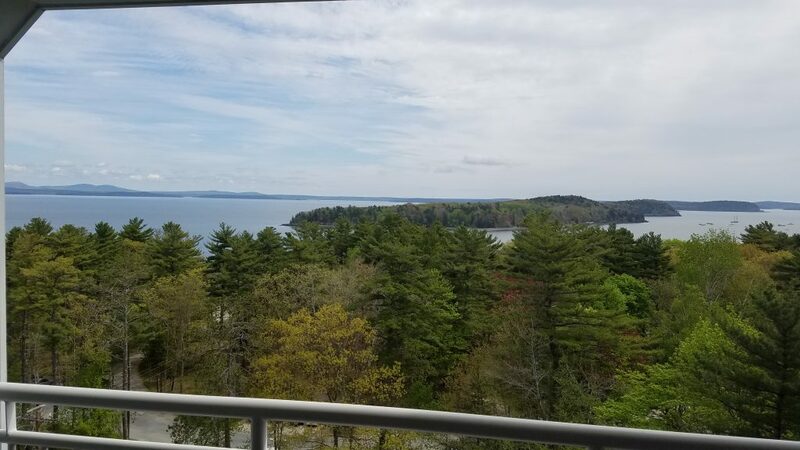 We chose to stay at the Mizzentop when we made our reservation and being that this was before the “summer rush” of tourists to Bar Harbor, it was a very relaxing and quiet stay. Our itinerary for the day was fairly simple: sightseeing and driving around Mt. Desert Island. 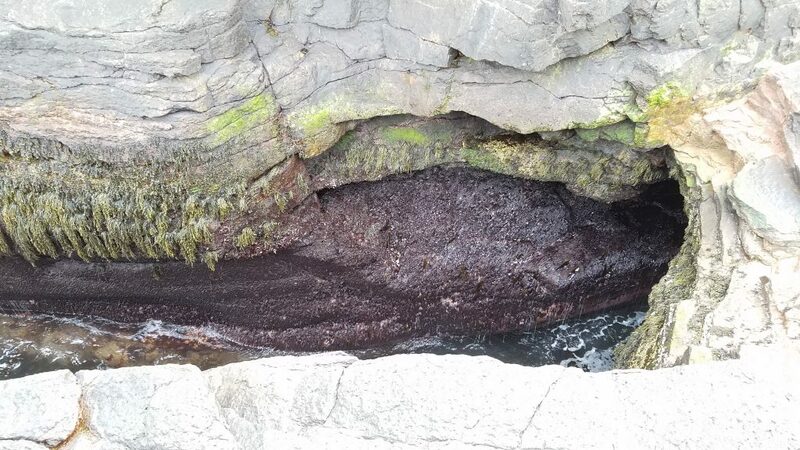 We were supposed to drive on the US-1 Schoodic National Scenic Byway. But, we didn’t. Dinner at either Fisherman’s Galley or Chase’s Restaurant, or The Looking Glass at the Bluenose Inn? Nope! Sunset at Schoodic Point like we planned? Nah. 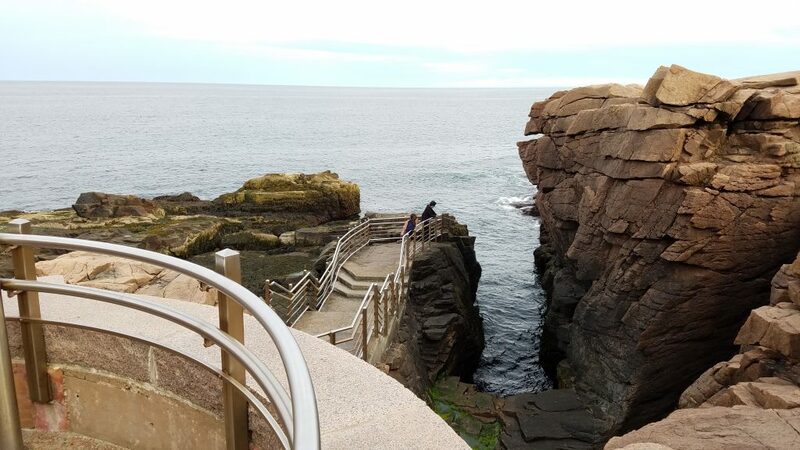 Rather, we ended up driving into Acadia National Park, at stopping at Thunder Hole – which, when the waves crash in its interior makes a thundering sound (hence, the name). But when we went, it was low tide. Granted, the views were amazing in person. We then made our way all the way up to the peak of Mt. Cadillac. We had not planned for this and were taken aback by the vistas that were bestowed upon us from the tallest mountain (1,528 feet) on Mt. Desert Island. Considering it was almost sunset, and there was no way we were going to make it down, around, and over to Schoodic Point to catch the sunset, we stopped to watch the sunset at the next best spot (which turned out to be THE best spot): Blue Hill Overlook, just a few hundred feet down from the Mt. Cadillac summit. 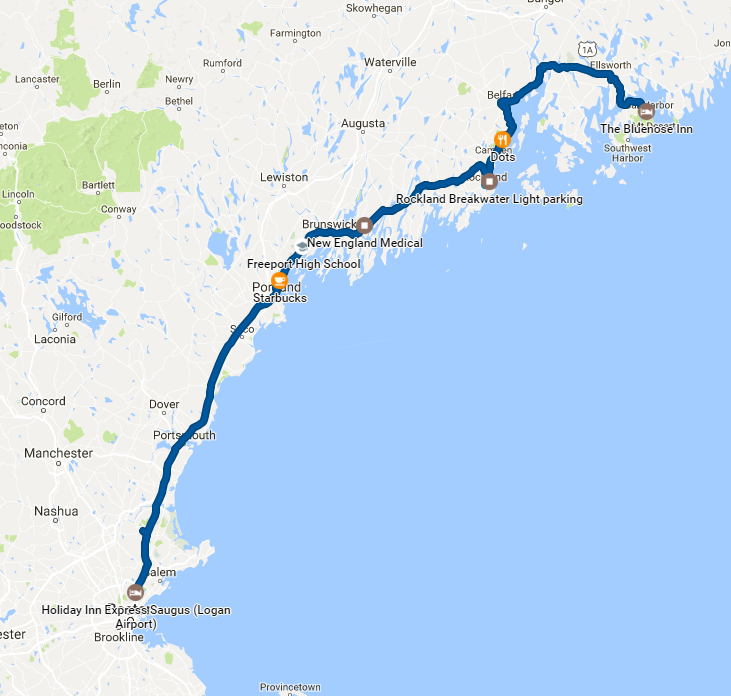 We then proceeded to finish the drive around the ring road of Acadia National Park. Following, we made our way to Fish House Grill in Bar Harbor – only to find it was closed at the time. 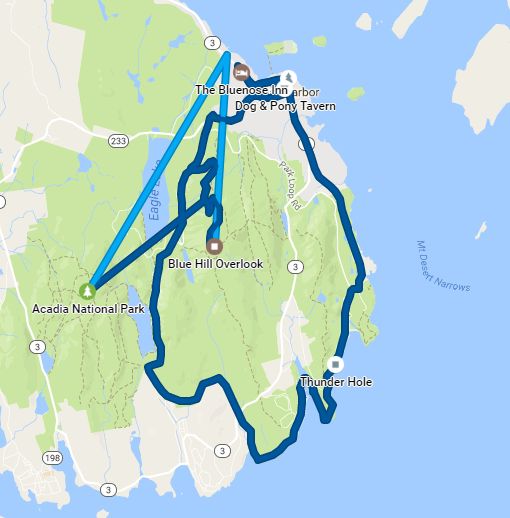 Eventually, we googled around to find the Dog & Pony Tavern, on 4 Rodick Place in Bar Harbor. While we waited for our phone order to be ready, we parked in front of Testa’s (54 Main Street) and walked over to Ben and Bill’s Chocolate Emporium (66 Main Street) for some chocolate and ice cream goodies (don’t judge us). 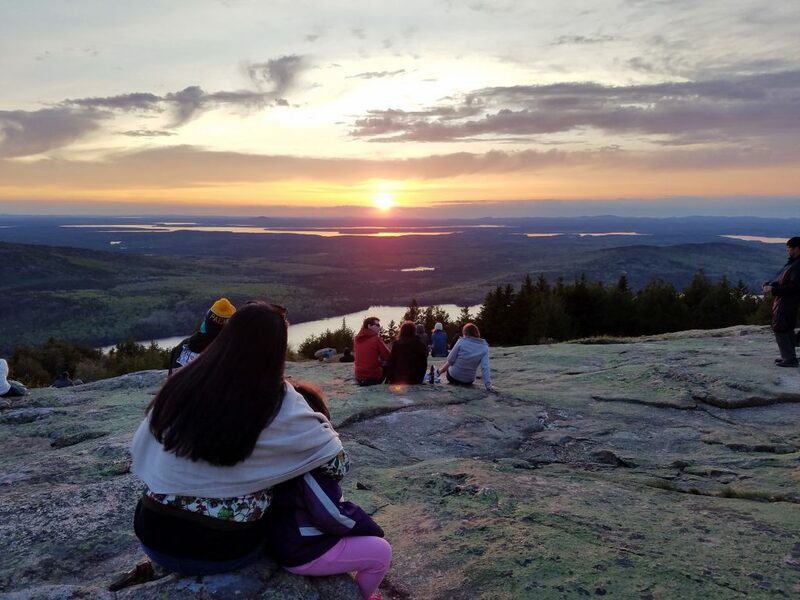 Well, more like Acadia to Saugus. We checked out of the Bluenose Inn (with promises to return again one day), and made our way back down route US-1, over the Penobscot Narrows Bridge (a beauty). We then stopped at Dots (2457 Atlantic Highway in Lincolnville Maine) for a quick to-go snack of sandwiches and other goodies. 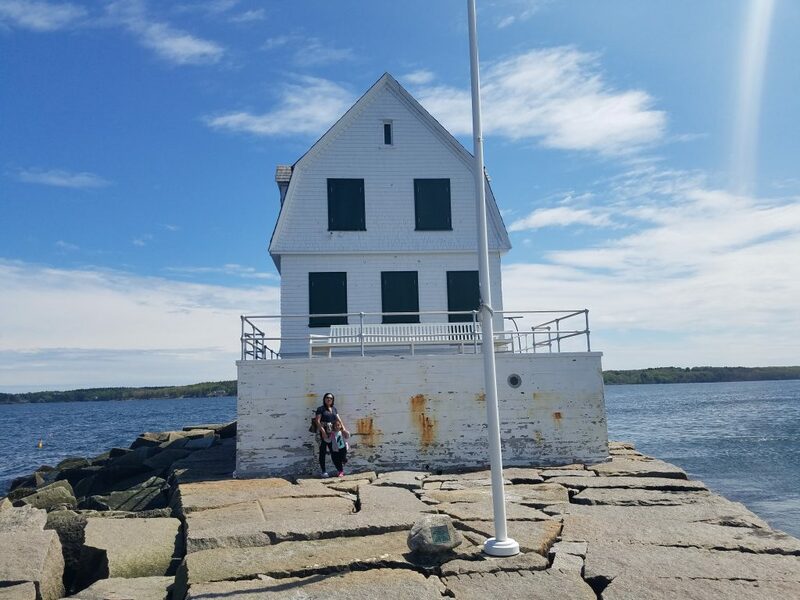 Following that, we proceeded down to Rockland Breakwater Light (Rockland, Maine) – a lighthouse set far out on an approximately 3/4 mile long breakwater. Following a few picture taking sessions and a nice walk along the precarious breakwater (mind the gap! ), we drove over to Starbucks for our coffee fill (256 US-1, Falmouth Maine). We then had planned on having a Drunch (Dinner + Lunch, get it?) at The Little Depot Diner, but changed our minds mid drive and decided we’d just check-in to our hotel (Holiday Inn Saugus – Logan Airport) and order takeout. Not much to report on this day. 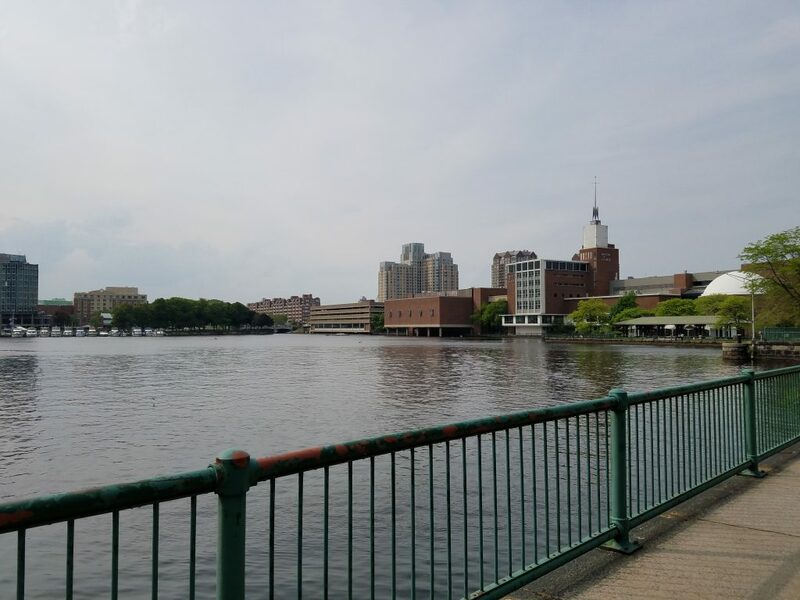 We had planned on taking our daughter to Legoland in Sommerville, followed by a visit to the Bunker Hill Monument, and a quick lunch at Boston Burger Company and JP Licks Ice Cream. Rather, we drove to Five Guys at 227 Andover Street in Peabody and drove back to the hotel. We spent the rest of the day there, relaxing. 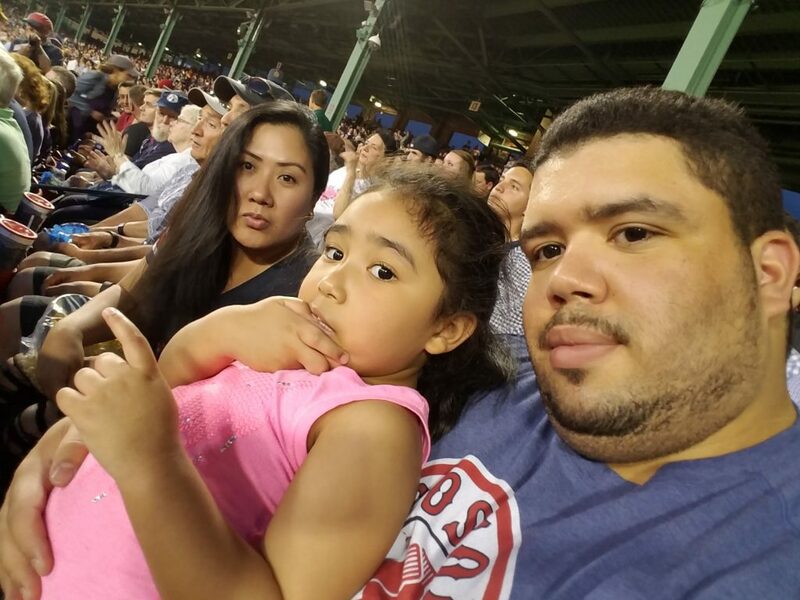 When in Rome…er, Boston – catch a Red Sox game at the Historic Fenway Park. Having secured some really nice seats directly behind first base, we watched a thrilling game between the Bosox and the Colorado Rockies. 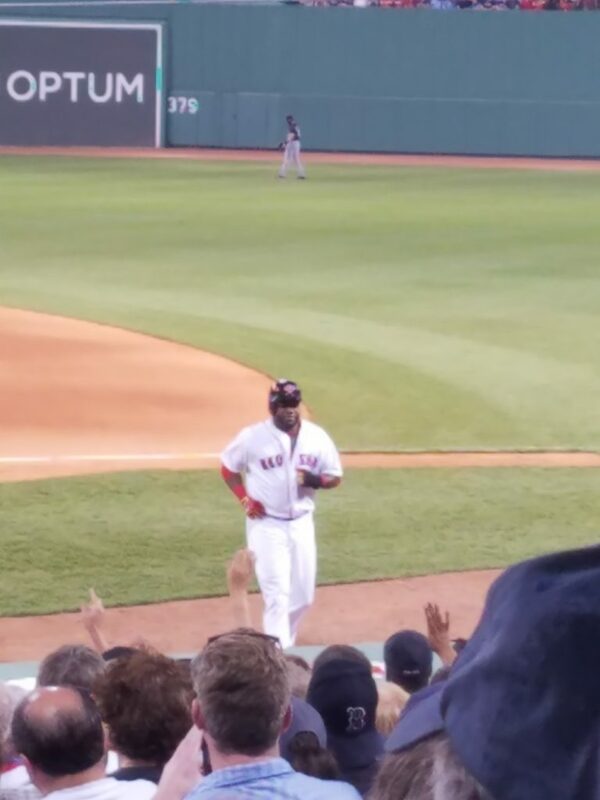 A fantastic game as we walked away happy after our Sox beat the Rockies 10 to 3. 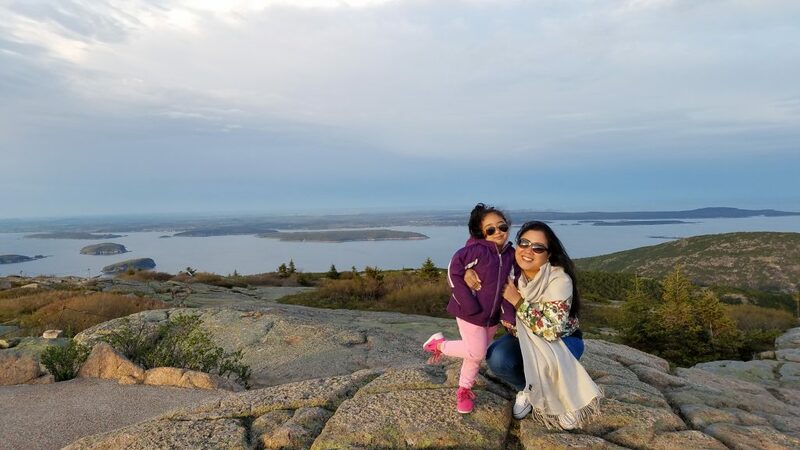 Another lazy day – having planned on going to Wahlburgers, Alma Nove, and World’s End – south of Boston, we did none of the above. 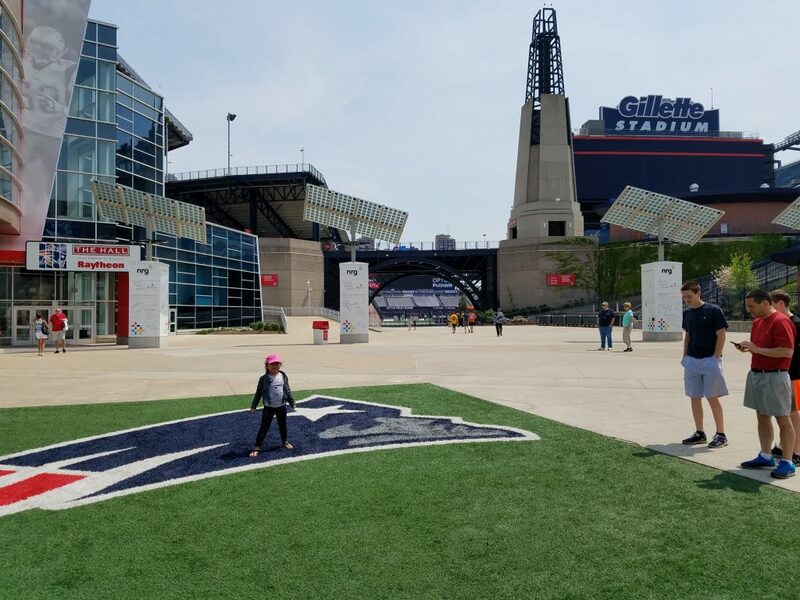 Rather, we went to the Starbucks at the Shops at Saugus (366 Broadway in Saugus), then proceeded to Charles Bank Playground (251 Causeway Street, Boston) to let our little munchkin run around a bit. Finally – we proceeded to do what we had planned to do on May 24th: Boston Burger Company, and JP Licks Ice Cream in Davis Square (Somerville). We got the famed Mac-and-Cheese burger (which was good), along with a few other burgers (which were great). At JP Licks, we got the standard fare of vanilla, strawberry, and coffee flavored concoctions. Plans: New England Aquarium, Lunch at Saus Boston, Boston Children’s Museum, Dinner at Yankee Lobster. Reality: Lazy day in our hotel. The day we were looking forward to. 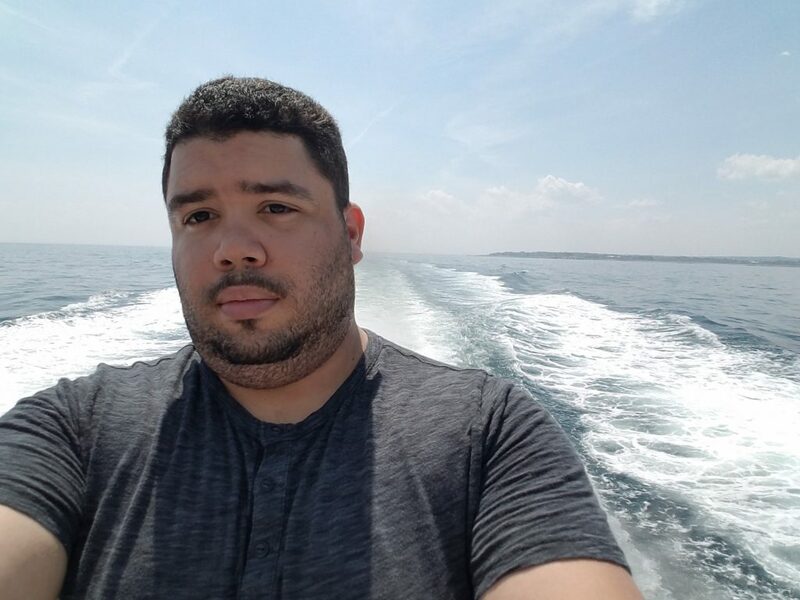 Whale Watching! 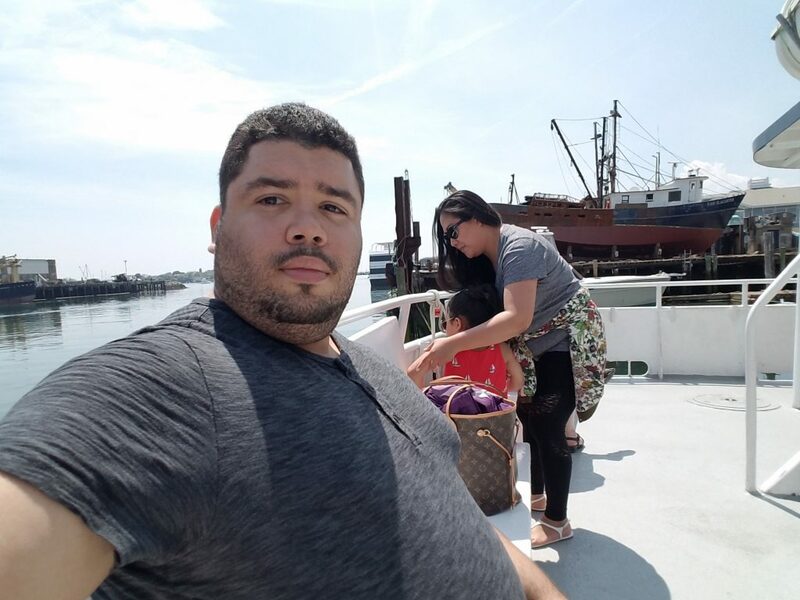 We drove over to Gloucester, Massachusetts for our scheduled whale watching excursion via Cape Ann Whale Watch (415 Main Street, Gloucester, Massachusetts). We had a fun time, but beware sea sickness – oh, and don’t sit in the back of the boat, fumes fumes fumes. We then drove back to Saugus via Scenic Route 127 – which took us through a beautiful little town by the name of Manchester-by-the-sea. So, the funny thing about life – it’s completely unexpected. We checked out of our hotel at 11:00 am and were on the road by 11:24 am (having loaded our bags and stopped by a nearby Starbucks). By 11:38 am, we were sitting on the side of Broadway and Main Street, as we had been rear-ended by another motorist. On the bright side, our car was still driveable and it was the last day of our trip. But before we headed home, we had a pitstop to make: Foxboro. 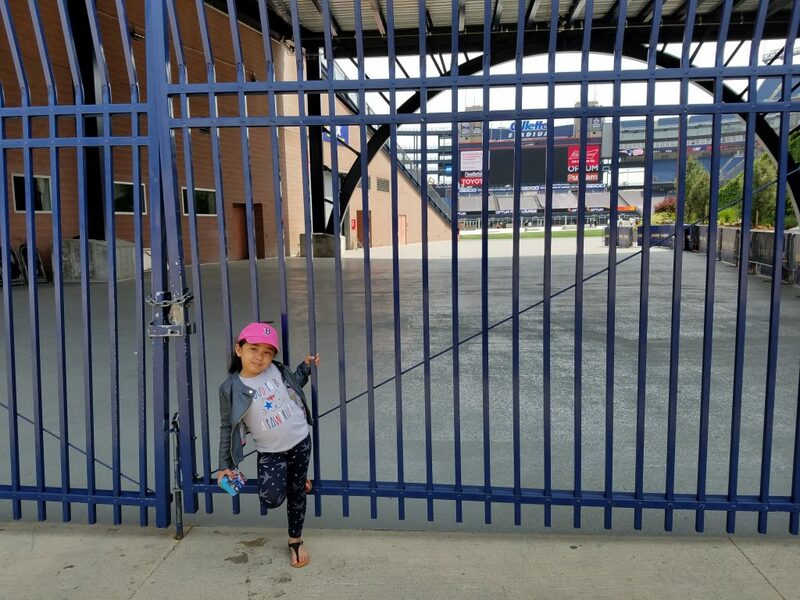 We aren’t in the area very often, so whenever we are, we stop by 1 Patriots Place: Gillette Stadium, home of the (best team ever) New England Patriots. We stopped by the Patriots ProShop for a few goodies, followed by a 2 dozen outtake of cupcakes at Cupcake Charlies (ok, judge us). Following a little photoshoot for the munchkin, we made our way back home. Though, we did stop at a Starbucks in Connecticut (Groton Shoppers Mart – 985 Poquonnock Rd in Groton).